Epstein credits and Watts charges. Divorce lawyers love using words like “Moore-Marsden”, “Gavron”, and “Epstein” and “Watts”. Generally, they are referring to cases which have ruled on certain topics. For example, if you own a home, you may have heard you and your ex’s attorneys arguing over “Watts” and “Epstein” credits and charges. This article is for you! Watts and Epstein credits/charges refer to reimbursements due at property division. For example, if you own a family home, and one of you vacates, leaving the other person in there to pay the mortgage (or, if you vacate, but still pay the mortgage while the person lives there), you may be due reimbursements. Epstein credits are named after the case, In re Marriage of Epstein. In that case, husband (psychiatrist) moved out of the family home and continued to support his stay-at-home wife and son (who remained in the home), as well as to pay the mortgage and taxes on the home. The Court held that Mr. Epstein could be reimbursed for some of the mortgage he paid with his separate funds after the date of separation. (He would be reimbursed for the portion that didn’t constitute support for the wife and kid). Watts credits are named after In Re Marriage of Watts. In this case, the husband (surgeon) occupied the family home and business after separation. The Court held that he should be charged the fair rental value for occupying it post-separation. FIRST AND FOREMOST – these reimbursements are discretionary! (Arguably Epstein is mandatory, but Watts is not) Generally, if it’s egregiously unfair for a court NOT to award these, they will. But, if the separation period is a few months- these reimbursements could categorized as something non-reimburseable (gifts, support). The Court has held that reimbursement would NOT be ordered if it would be unreasonable for the payor to have expected reimbursement. Practically speaking, I throw these in the calculation when the situation warrants it. There is always room for negotation, and it makes sense for both parties to be flexible to avoid outrageous court costs. (i.e. DON’T spend 100k to get 20k in reimbursements). However, there are certain situations that warrant these reimbursements, and I would make sure you work with a competent lawyer to get these back. Considering Drafting Your Own Prenup Without a Lawyer? Don't! 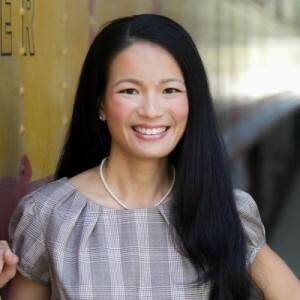 Kelly Chang Rickert (formerly Kelly Yi-Yi Chang) is the founder of the Law Offices of Kelly Chang, A Professional Law Corporation, a firm dedicated exclusively to Family Law. She has been certified by the California State Bar Board of Legal Specialization as a Family Law Specialist. She is frequently quoted in the media, and is a legal expert for Style Network, TV Guide and MTV on Mel Gibson, Tiger Woods, Britney Spears, Christie Brinkley and Madonna divorce and custody cases. Steven W. v. Matthew S.